“When I started this research on the Mi’kmaq resistance to the British, I was really just anticipating I would find 10 guys and I would research them,” amateur historian Tod Scott told CBC Radio’s Information Morning Thursday. (1675-1761),” Wednesday to the Royal Nova Scotia Historical Society. Scott is a social worker who has written articles and assisted with two CBC Radio documentaries on Atlantic Canada’s colonial history. The British had more troops and resources on a global scale, but they underestimated what was needed to take over Nova Scotia in 1675, and remained on the defensive until they made peace with the Mi’kmaq in 1761, Scott said. Letters from British officials in Nova Scotia and back in England described this, Scott said. French documents from the time agree, he said. The French were allied with the Mi’kmaq and supplied them with guns and ammunition. New England sent rangers to Nova Scotia, most notably under the leadership of John Gorham in 1744, these considered “special forces,” Scott said. The soldiers killed several Mi’kmaq people, pleasing the governors, he said. But after four years in Nova Scotia, Gorham lost 75 per cent of his soldiers. In the end, most New England raiders who came to fight the Mi’kmaq departed the province beaten and demoralized, Scott said. That flies in the face of conventional wisdom. Edward Cornwallis, the British military leader who founded the fort in Halifax, is notorious in Nova Scotian history for putting a bounty on the scalps of Mi’kmaq people. In 2011 his name was removed from a Halifax high school and protesters regularly ask for his name to be taken off a downtown park. Scott’s research suggests the bounty set by Cornwallis was ineffective in suppressing Mi’kmaq pushback against the settler forces and his contemporaries would have seen him as a failure. 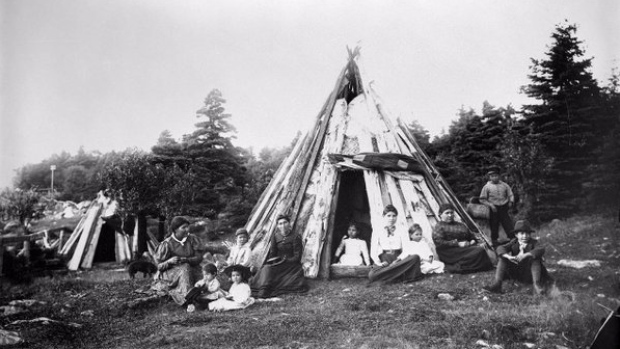 “He wasn’t able to establish the control over Nova Scotia or Mi’kma’ki that he was sent here to do,” Scott said. The inhabitants of the fort regularly sent people to Dartmouth for food and water, but they often didn’t come back, he said. “Cornwallis’s gardener gets killed, and so does the gardener’s son as they stray outside the fort,” said Scott. He found documents from 1757, in which one British officer said soldiers in Windsor, Lunenburg and Sackville were prisoners in their forts. “That was not Cornwalis’s mandate when he got here. His mandate was to take over the whole region,” Scott said. Scott’s research will be published in the journal of the Royal Nova Scotia Historical Society in May. Posted on October 23, 2015, in Colonization, Warrior and tagged anti-colonial resistance, British colonization, Mi’kmaq. Bookmark the permalink. Leave a comment.